The payment of 995€ includes entry fee to the selected event / events, 2 sets of parc ferme tires (2 slick), 1 x practice days and one litre of oil. The Unilogger kit is obligatory in Junior and Senior classes only. RGMMC provide the Unilogger, driver must provide the cables. 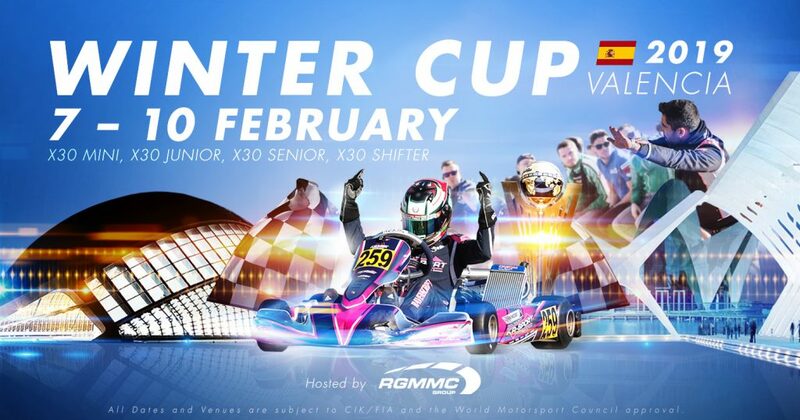 X30 Mini driver pack includes entry fee to the selected event / events, 2 sets of parc ferme tires (2 slick), 1 x practice days and one litre of oil. Tires for practice are open. However, drivers who wish to pre-order practice tires from the same racing batch can do so by ordering the amount of tires required. I have read and agree (Driver & Entrant) to be bound to all regulations applicable to the IAME Euro Series and the IAME Winter Cup. Those regulations include, but not limited to, FIA International Sporting Code (ISC) CIK/FIA International Karting Regulations "General Prescriptions" and the "Technical Regulations". The IAME Euro Series Open "Sporting Regulations", "Technical Regulations Part 1 & 2" and the events "Supplementary Regulations". Please be aware the IBAN number has changed since 2017 season.